Since I haven’t posted for so long (see Newsflash: I am a TERRIBLE blogger (SQUIRREL!) 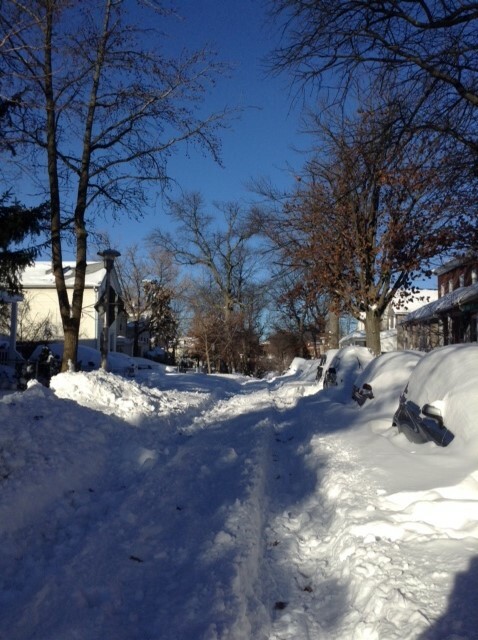 for more on this) I haven’t posted any pictures or videos from the January 2016 blizzard yet. Since it’s once again snowing today (2/15/16 – and yup, I still love snow) AND I have off from work for President’s Day it seemed like a good day to post my pics and videos for historical sake. If you weren’t here for it I have to admit it was a pretty impressive storm. It was, after all, a record breaker they say. 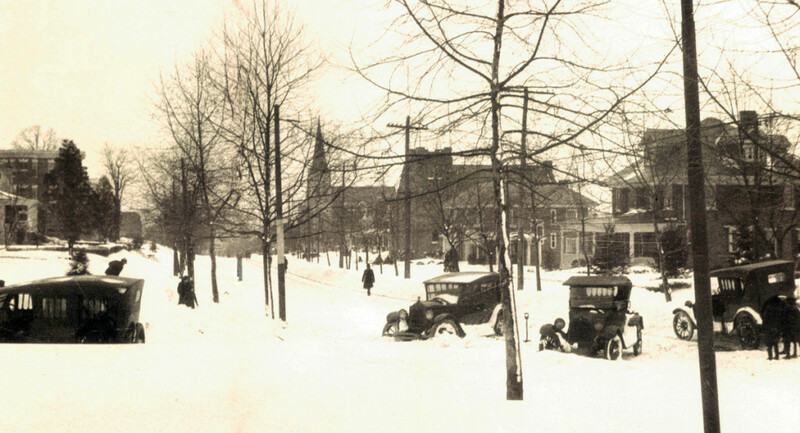 But first, let’s take a quick look at a couple of historical Baltimore blizzards from the past. 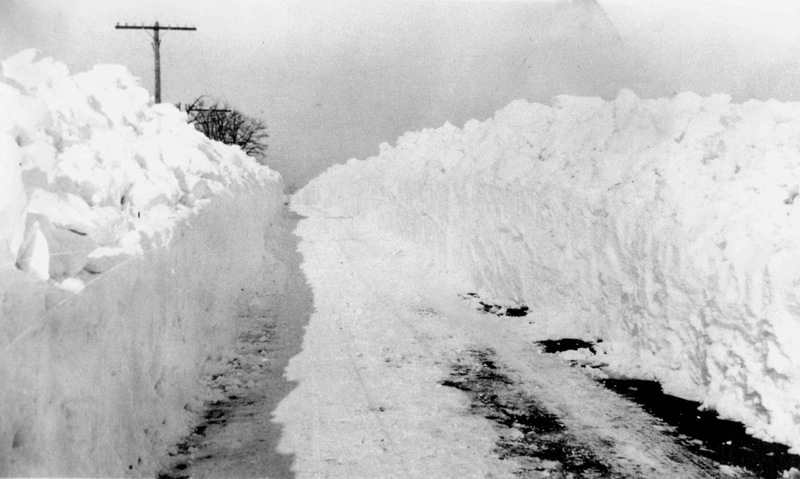 The Great Arctic Outbreak of February 13, 1899, officially reached 21.3. 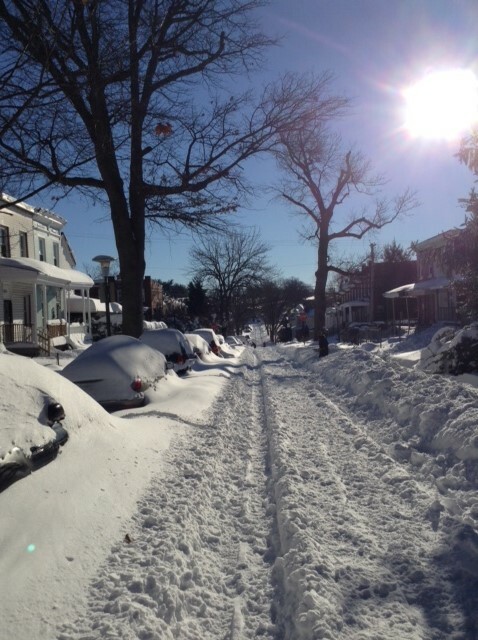 I get a kick out of that last picture because modern Baltimoreans aren’t known for having cool heads when it comes to snow. A true understatement if there was one. The hue and cry for snow plows to clear our streets starts within an hour after the flakes stop falling. 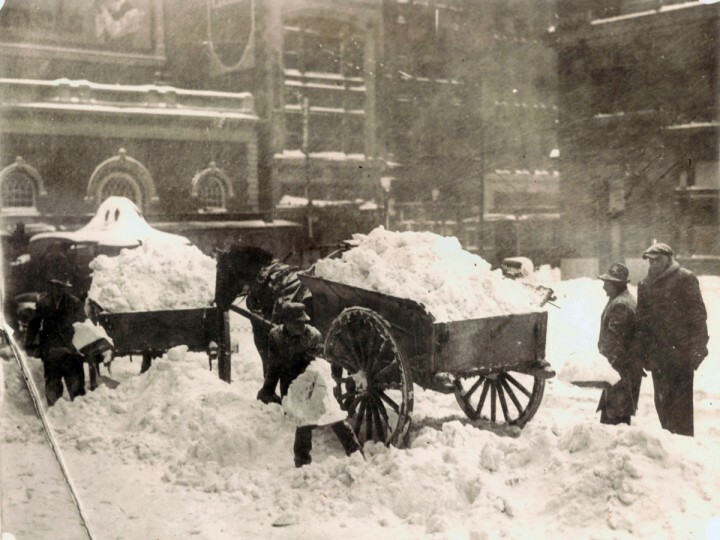 Seeing how our earlier citizens had to clear the streets back then helps puts things into perspective. 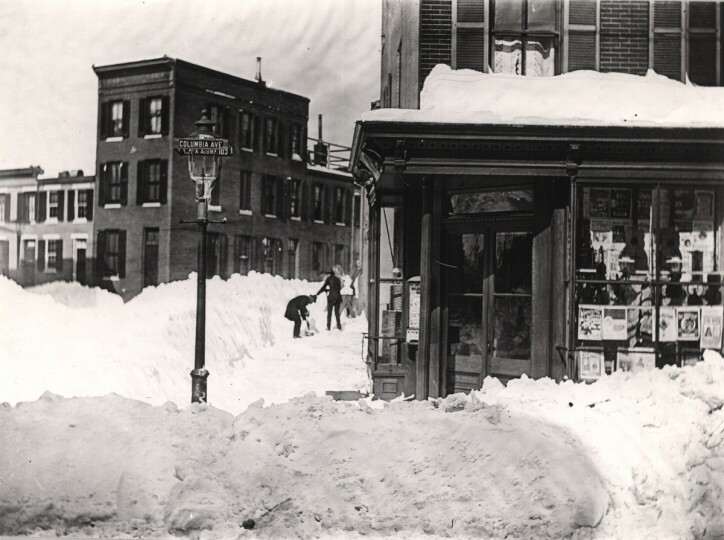 And then there was Knickerbocker Storm of 1922 which dumped 26.5 inches on folks in the area. 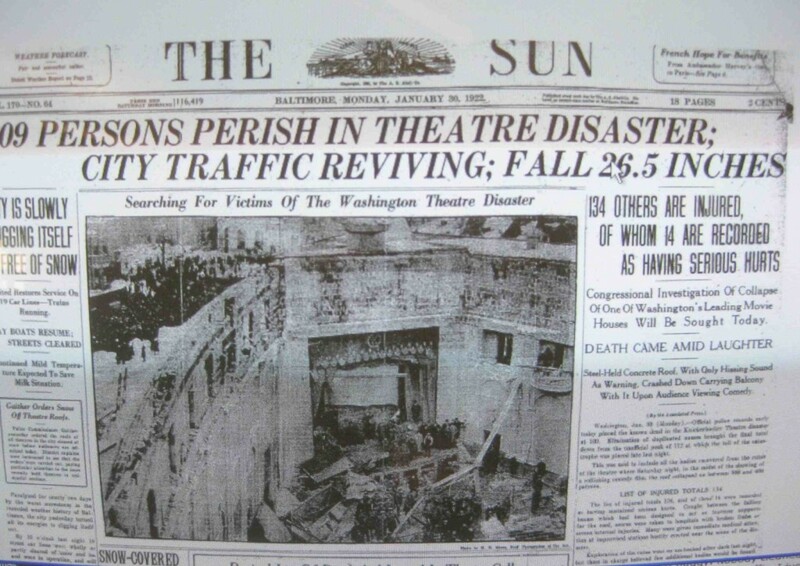 The disastrous collapse of the roof at the packed Knickerbocker Theater in Washington, DC–in which over 100 people died and 134 were injured–eventually lent this epic storm its moniker. And of course, there were many others including the North American Blizzard of 1996. The one in the list closest to me is the Hamilton measurement at 24 or perhaps Towson at 24.3. 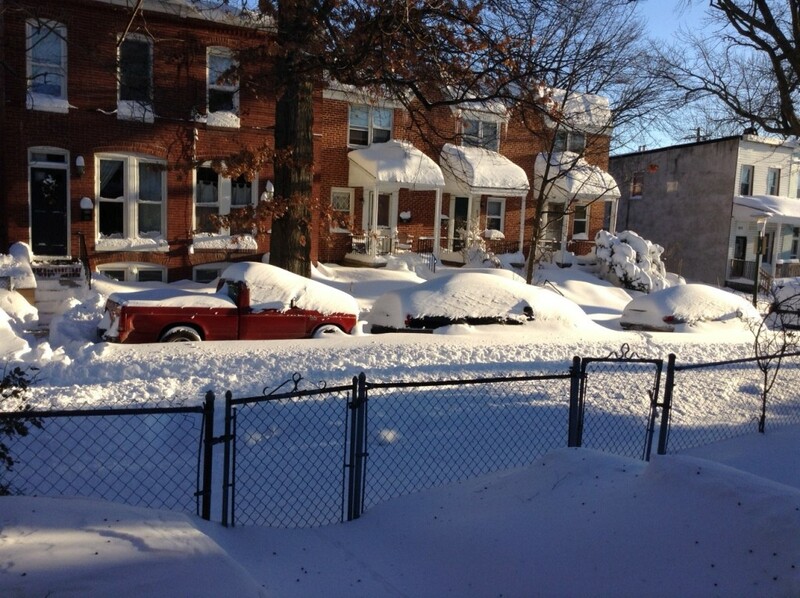 People appear to have settled on calling this storm The Snowpocalypse. I must admit the lack of originality bothers me a bit since we were referring to the 2010 storm(s) as both The Snowpocalypse and Snowmageddon. Or perhaps they were just drunk the whole time. I guess you couldn’t blame them if that was the case since that year with the back to back storms we reached 44.5 inches. Which in many ways had a much bigger impact than this one, record-breaking though it may be. 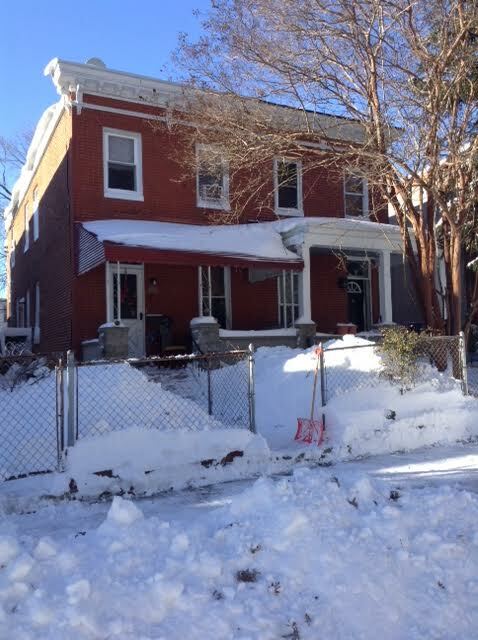 Historic Baltimore Blizzards: Jan. 2016: Mid storm we headed out to do some shoveling. Debate still rages on over whether this was a waste of time or helped make the later dig out easier. 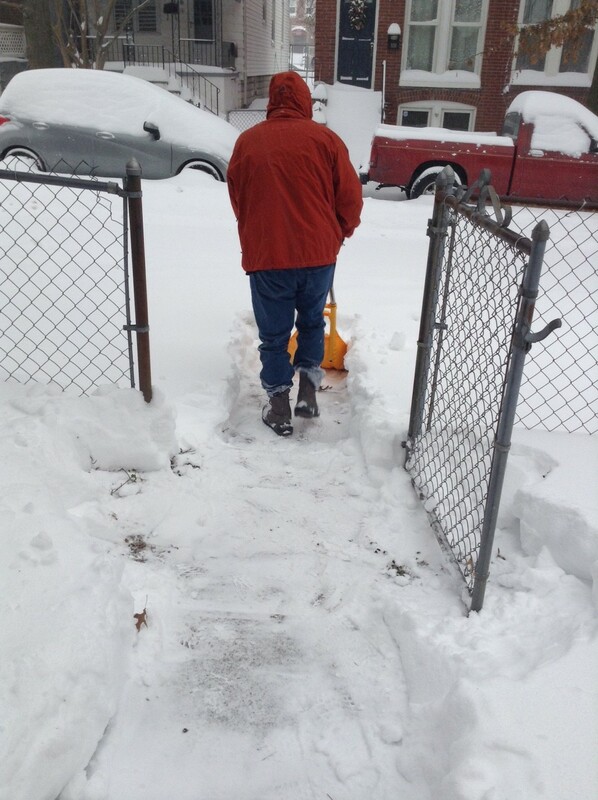 Historic Baltimore Blizzards: Jan. 2016: Mid storm here is Gerrit shoveling. 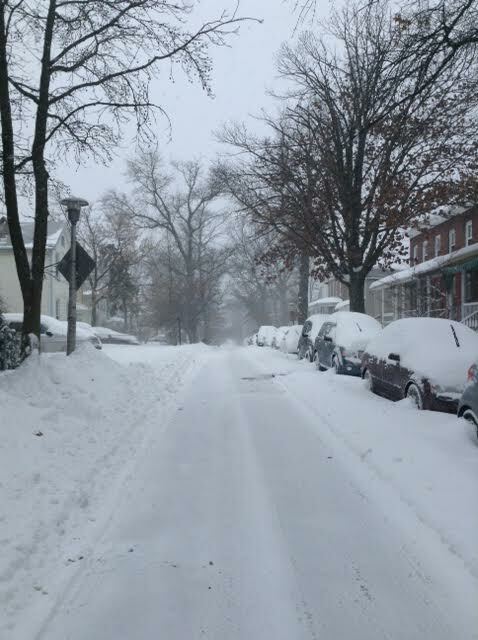 Historic Baltimore Blizzards: Jan. 2016: Mid storm Homestead St. looking West. And some pictures from the aftermath. And a super short video of the morning after shot from my front porch. 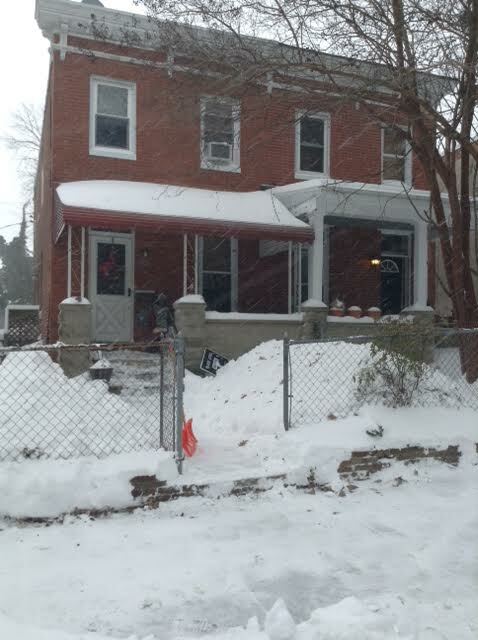 Keep in mind we had shoveled midway through the storm so the snow is not nearly as deep as it would have been.